For one week in early June, Desert Foothills Lutheran Church held Vacation Bible Camp. Nearly one hundred children from the community attended. The program, Star Galactic, informed and amazed the children. They grew in faith while having fun learning about the heavens. 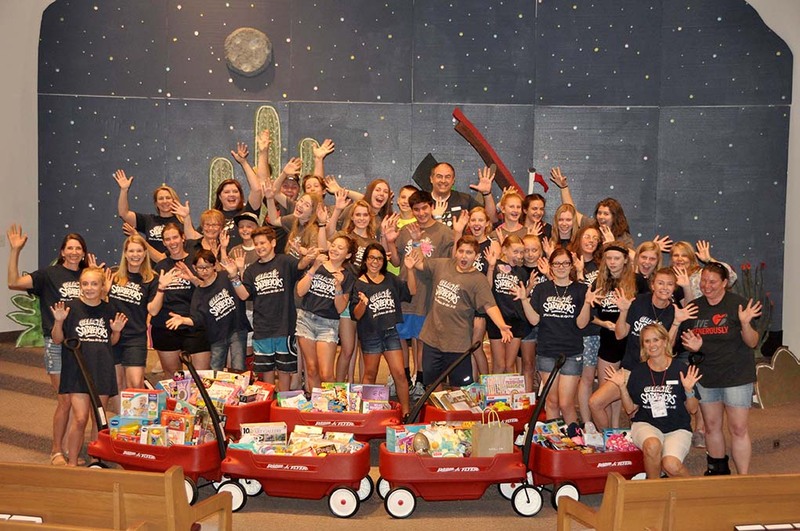 The service ministry this year was Phoenix Children’s Hospital. Each day children brought in new toys, games, crafts, stuffed animals etc. Over the course of one week and with the help of church members, nine red wagons were purchased and filled with all these gifts. Submitted by: Barbara-Ann Gulotta, Service Ministry Outreach Team, Desert Foothills Lutheran Church & Pre School, Scottsdale.